As the race for the White House heats up, Armenian Americans across the country are beginning to look more closely at who will best represent their interests as President of the United States. For many Armenian Americans, the 2016 election cycle concludes a chapter in the worst administration on Armenian American issues in modern presidential history. With the broken promises of Barack Obama, whether to acknowledge the Armenian Genocide as President or to increase U.S. assistance to Armenia, the Armenian American community has learned that campaign promises are no true indicator of support after the election. However, one can and should look to a candidates record, votes, statements, and over-all positions in order to arrive at an informed decision as to whether or not that candidate deserves your support. When looking through the Armenian American lens, the Republican Party has the stronger track record and Marco Rubio is the top choice of all the candidates running for President of the United States of America. As of this writing, Donald Trump currently leads the Republican Party’s nomination contest with 82 pledged delegates, followed by Senator Marco Rubio (R-FL) and Senator Ted Cruz (R-TX) who are tied with 17, Governor John Kasich (R-OH) with 6, and retired neurosurgeon Ben Carson with 4. There are a total 2,340 delegates available and 1,237 are needed to secure the Republican nomination. The race for the Republican Party’s nomination could very well be determined in less than 30 days. Super Tuesday, March 1, will see 11 states hold primary votes. For Republicans, 595 delegates are up for grabs, including Cruz’s home state of Texas, about 48% of the total delegates required to win the nomination. Florida and Ohio will hold their “winner-take-all” primaries on March 15, along with Illinois, Missouri, and North Carolina. In the month of March, 1,398 delegates will be awarded, enough to secure the nomination. Heading into Super Tuesday, emphasis will be on the ability of each candidate to sweep a large number of delegates and if Cruz, Rubio, and Kasich win their home states. If it doesn’t become a two-man race by the end of March simple arithmetic suggests that Trump will likely be the Republican nominee. During his tenure in the United States Senate, Marco Rubio (R-FL) has established the strongest record in support of Christian and Armenian American issues of all the candidates in the field, including but not limited to genocide recognition, and not just in Armenia. On Armenian American legislation, Rubio voted YES on the Armenian Genocide recognition resolution, S.Res. 410, in the Senate Foreign Relations Committee (SFRC) in 2014. The bill passed 12-5; the first time an Armenian Genocide resolution has ever passed this committee. In 2015, Rubio cosponsored S.Res. 140, the Armenian Genocide resolution, which is currently pending in the Senate with 21 signatories. “As your United States Senator, and as a member of the Senate Committee on Foreign Relations, I was proud to co-sponsor S.Res. 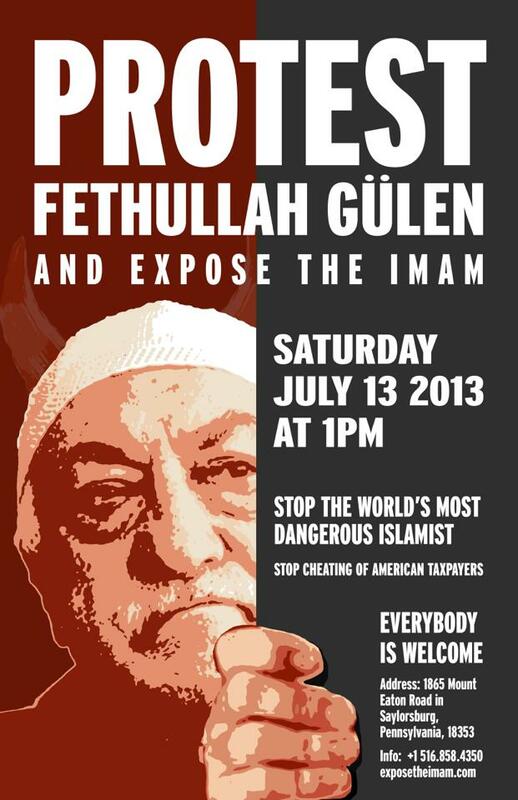 140 in support of an Armenian-Turkish relationship following the 100th Anniversary of the Armenian Genocide. We must continue to fight as an international community with passion and dignity in defense of human rights,” Rubio said in a letter to the Armenian American community to mark the centennial anniversary of the Armenian Genocide. “Please know that you have my full support for your cause,” Rubio said. Senator Marco Rubio reinforced his position in support of U.S. reaffirmation of the Armenian Genocide when he joined Senator Cory Gardner (R-CO) and 13 other Senators in a letter urging President Obama to acknowledge the Armenian Genocide on the centennial anniversary and to attend the commemorative events in Yerevan, Armenia. Obama did not attend the ceremonies in Yerevan, and sent Secretary of the Treasury Jack Lew in his place. Also in 2015, Senator Rubio signed a letter to Azerbaijan President Ilham Aliyev regarding the regime’s violent crackdown on political and human rights activists, imprisonment of journalists, and general turn toward authoritarian rule. Rubio’s position on the side of individual liberties, freedom of the press, and democracy is an important element to consider. Those watching the Republican presidential debates have noticed that, unlike other candidates on either stage, Rubio has repeatedly and unequivocally called out the Islamic State’s barbaric violence against Christians, Yezidis, and other religious minorities in the Middle East as genocide. He also does not hesitate to discuss his Christian heritage and faith, whether it’s his views on life or where his children go to school. As such, he joined Senator Mark Kirk (R-IL), a champion of Armenian American issues, as an original cosponsor of S.Res. 340, a bill that would label as genocide ISIS attacks on Armenians, Assyrians, Yezidis, and other ethnicities of religious antiquity in the Middle East. In 2015, Senator Ted Cruz (R-TX) also cosponsored S.Res. 140, the Armenian Genocide resolution. Although Cruz is currently a member of the SFRC, he was not on the committee in 2014, and therefore has never had an opportunity to vote on the Armenian Genocide resolution. Governor John Kasich (R-OH) has a mixed record on Armenian American issues over his career in Congress (1983-2000). Like Cruz, he has never faced a vote on the Armenian Genocide resolution. However, Kasich’s most recent record shows him as an original cosponsor of H.Res. 155, the genocide recognition bill of 1999. 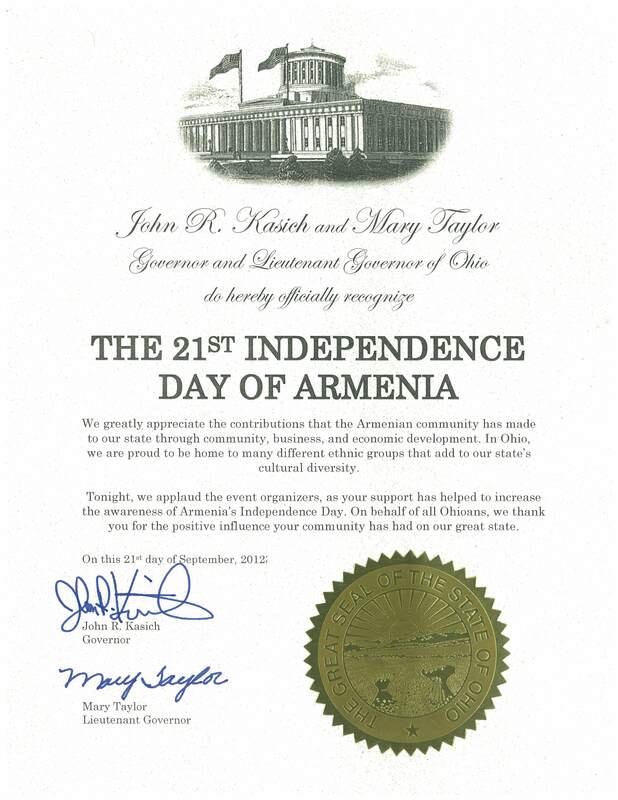 As governor, Kasich issued a proclamation in 2012 congratulating Armenia on its 21st anniversary of independence. As a retired neurosurgeon, Ben Carson has no record in support or opposition to Armenian American issues. “Trump lent his name and management know-how to an upcoming, sail-shaped skyscraper in Baku that is owned by billionaire Anar Mammadov, Mother Jones magazine reported on July 29. Mammadov is a son of the country’s powerful transportation minister, Ziya Mammadov, a man whose family has been long accused of battening on privileged access to government contracts for infrastructure development. “The deal and Mammadov’s role as a champion of Azerbaijani interests in the US — he heads the Azerbaijan America Alliance — exemplify the two parallel worlds of US-Azerbaijani relations. Baku now bitterly rebukes Washington’s criticism of its dismal human rights records, even as its insiders actively lobby and sweet-talk US politicians. Trump’s pro-Azerbaijan leaning is reinforced by the support of Governor Chris Christie (R-NJ). In 2012, Governor Christie issued a proclamation on the so-called “Khojaly massacre” which ridiculously accuses Armenians of committing ethnic cleaning against Azerbaijanis during the 1991-94 Nagorno Karabakh War. 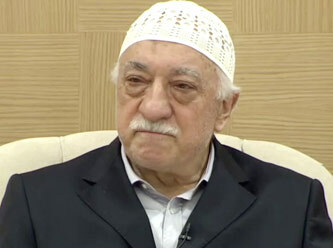 The growing Muslim Azerbaijan lobby in Washington, led by the Azerbaijan American Alliance, with who’s founder Trump has a business relationship, has shopped around such anti-Armenian proclamations and resolutions in order to cover up and divert attention from Azerbaijan’s Sumgait, Kirovabad, and Baku pogroms against Christian Armenians in 1988-90. Christie came to Trump’s rescue in an endorsement on Friday after Rubio used the same attack wielded by the New Jersey Governor against Rubio on Trump. “I watched you repeat yourself five times four weeks ago,” Trump exclaimed at the Republican Presidential debate on Thursday night in Houston, TX. “I watched you repeat yourself five times five seconds ago,” Rubio rebuffed after Trump failed to articulate a healthcare plan. Armenian Americans focusing on November must remain mindful of the historical record of the individual, statements made, and tough votes cast in order to make an informed decision about the person and the party accordingly. While there are and have always been genuine, ardent, and steadfast Democratic supporters of Armenian American interests, the historical record reveals that Republican leadership has been more successful. When viewed through the Armenian American lens, it would be foolish for Armenian Americans to continue to reward a party and a President that has been unable to deliver when it mattered most. There are plenty of issues on the Armenian American agenda. U.S. reaffirmation of the Armenian Genocide, defending the rights of Nagorno Karabakh citizens to live freely, and Christian persecution in the Middle East are the most compelling for Armenian Americans in 2016. How legislators act when in power and vote when it counts is what reveals true leadership. Like other minority groups in America, Armenians are not a monolithic voting block, nor should we be. But we must wake up the political consciousness of our constituency and make the right choice in this election-and that choice is Marco Rubio. *Updated at 11:15 pm with the addition of Senator Rubio’s signature on the Senate letter to President Obama on the Armenian Genocide centennial anniversary.